Valentine’s Day is a day originally meant to honor Saint Valentine. But since the days of Chaucer, it’s been associated with love. Or, to call a spade a spade, it’s associated with the giving of gifts. Flowers, chocolates, anything heart-shaped and/or expensive. 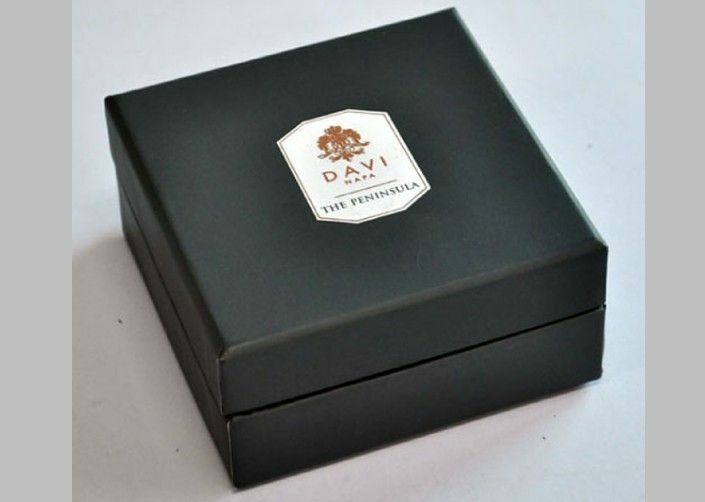 It’s a holiday made for luxury gift packaging. (Yes, we know it’s not *made* for giving gifts. Gifts are just the byproduct, the natural progression from courtly love). 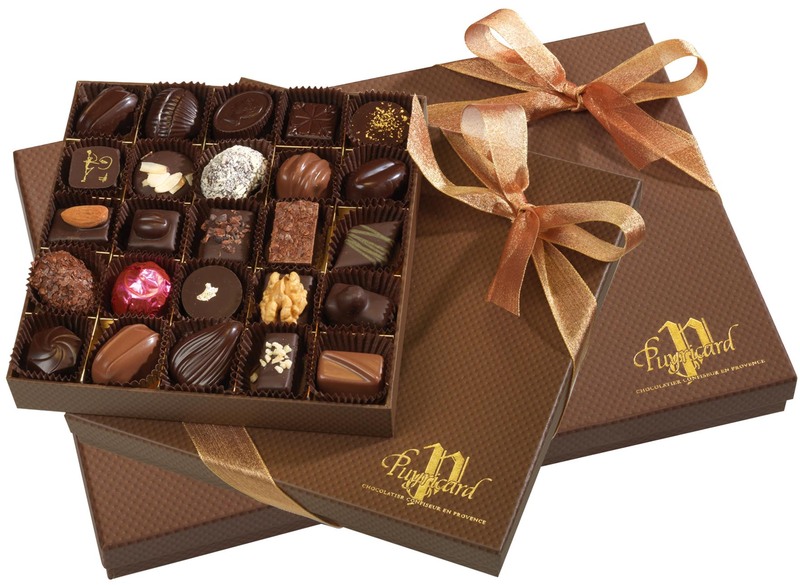 It’s easy to pile chocolates into a bag, tie it shut and call it a gift. Or to pick up some mass-produced box of waxy chocolates. But if you’re going to give them as a gift, take it from us: invest in good quality chocolate and good quality dessert boxes. The classic chocolate box? A cigar style box, with turned edges and imprinting. It’s true that you shouldn’t judge a book by its cover, but when it comes to chocolates, the box can be an indicator of quality. Two piece setup boxes are the other traditional style, as you can see to the right. Trust us, it’s worth the extra effort. It probably doesn’t surprise you that Valentine’s Day is the most popular day to get engaged. It’s estimated that 6 million people agree to take the plunge (and not in a second-bottle-of-wine kind of way). The focus in any engagement is on the ring, naturally, but don’t overlook the significance of the box, either. The box holds sentimental value as well, and makes for a great keepsake. The standard style, a hinged magnetic box, can be further customized with names, a quote, or some other bit of content you share with your (hopefully) new fiancee. Of course, Valentine’s gifts run the gamut outside of rings and chocolates. The item below is a luxury-brand lotion in a custom two piece setup box. Ideal not only for spa-day indulgences, but the box for the lotion itself only adds to the gift. Not to mention the experience of opening it. Lotion in and of itself isn’t the most exciting gift…until it arrives in a fancy box, right? Think of other items in which luxury gift packaging becomes an arena for differentiation. Watch boxes. Perfume or cologne gift boxes. Even electronics have jumped on board. Samsung and Apple are just two tech companies that have adopted an iconic, customized packaging style. All of this isn’t to say that enjoying Valentine’s Day means spending money. But purchasing things of a certain quality entails spending a little money. If your valentine isn’t worth it, who is?